Chronic periodontitis and peri-implantitis are bacterial infections that damage the gums and teeth. 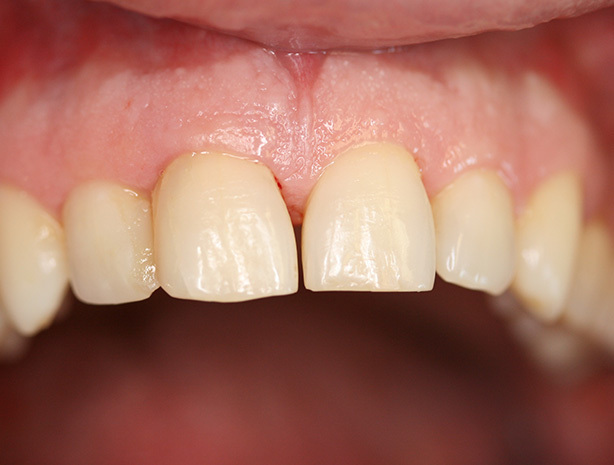 If left untreated, periodontitis and peri-implantitis can lead to tooth and implant loss. Dr. Zimmer uses a special, minimally invasive treatment to stop the progressive destruction of the bone. He also conducts microbiological tests and laser treatment when necessary. Particularly severe conditions may require antibiotics. Supplemental use of homeopathic remedies can also help. With these treatments, your periodontitis specialist in Munich can help you keep your teeth and implants, even if severely diseased. We are your specialist for chronic periodontitis and loose teeth! Is it possible to stop the progression of chronic periodontitis? What is involved in treating periodontitis? Periodontal therapy is a gradual process. We use special techniques to remove the bacteria and bacterial toxins that cause the condition from the teeth and periodontal pockets. The disease can then heal. Chronic periodontitis (also commonly referred to as periodontal disease) is a bacterial infection affecting gums and tooth bone matter. How do you get periodontitis and how does the disease progress? In those prone to the disease, bacteria from plaque make their way underneath the gums. The resulting infection progressively destroys the bone surrounding implants and tooth bone matter. This creates deep periodontal pockets. The affected teeth eventually start to loosen and may fall out without treatment.